For Grain Stores, Basil Seed Suppliers, Chia Seeds Retailers, Wholesalers, Sow Substance Dealers, Grain Traders, Etc. Chia Seeds are the healthiest grain in all over the world. As they are loaded with omega-3 fatty acids, proteins, carbohydrates, fibers, antioxidants, calcium, etc which are good for your body & brain. 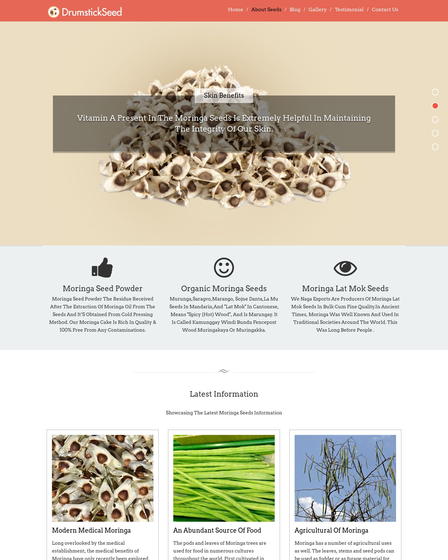 So, if you are looking for well-built, versatile & responsive template for selling chia seeds to the global society, you must try BasilSeed WordPress Theme. 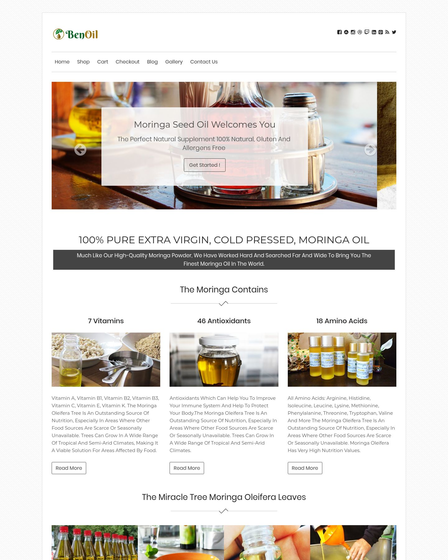 This premium template is easy to customize such as you can ideally create your e-commerce site & showcase chia seeds business services in front of web customers. Column Service Section for elaborating your chia store facilities & services online. 2 Video Boxes to upload live tutorials on chia seed homemade recipes, filtration techniques, etc. 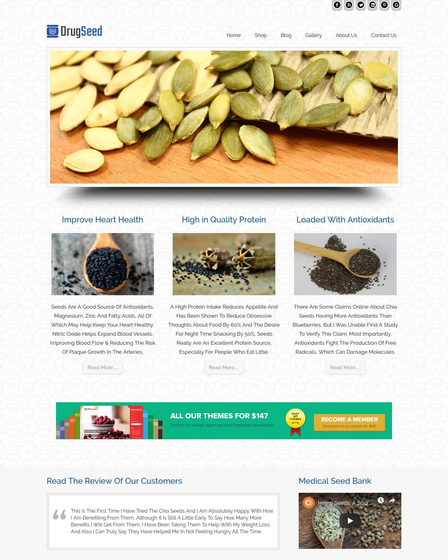 Blogs to update viewers from chia seeds health factors, medical remedies & nutrients. 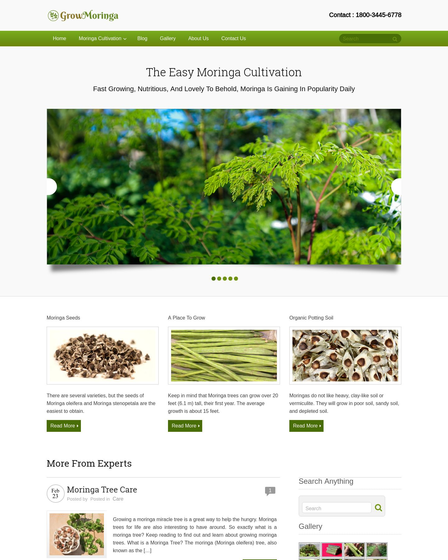 Homepage Shop Area for presenting varieties of chia products online. Testimonials help to remains the trust of users on your e-commerce site. 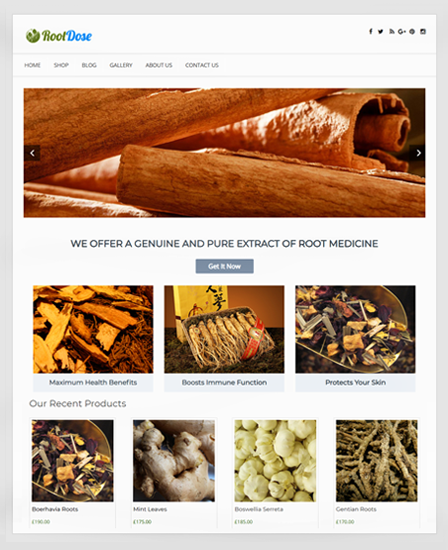 The theme is fully customizable with WooCommerce plugin that gives you lot’s of eCommerce function, using which you can build your own online chia seeds store. Add To Cart System- Shopping becomes so convenient for viewers when they want to buy multiple products at a single time. Using the add to cart system of the theme, they can add unlimited products into their shopping cart which saves their precious time. Checkout Option- After completing their online shopping, they can chick over checkout button for further payment process. PayPal Gateway Module- The Chia Seeds WP theme consist with very secure payment gateway channel i.e PayPal. Using this payment module, users can do online transactions very effectively. Sidebar Widgets- You can now show your top-rated products, client’s reviewers, price filter, product categories in the sidebar area of the theme using theme inbuilt WooCommerce sidebars.